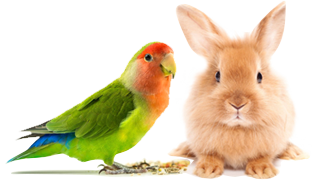 Dove Personality, Food & Care – Pet Birds by Lafeber Co.
Doves are ideal for someone who wants a bird, but cannot accommodate the needs of a parrot (noise, one-on-one social interaction). Their interactions are fun to watch and some consider their cooing pleasant. Doves and pigeons are not two separate species of birds. “Dove” usually refers to a smaller bird and “pigeon” is usually used in reference to a larger type bird. Doves are found in almost every part of the world, and there are hundreds of dove species in existence. However, only a handful of doves are commonly available as pets, with the diamond dove and the ring-necked dove as the most popular pet dove species. Doves are ideal for someone who wants a bird, but cannot accommodate the needs of a parrot (noise, one-on-one social interaction). There interactions are fun to watch and some consider their cooing pleasant. Doves are found in every part of the world; the exception being the Antarctic. The popular diamond dove is native to Australia, and the equally popular ring-necked dove is native to Africa. Doves and pigeons occur worldwide, but the greatest variety is in the Southeast Asia and Australasia. Doves have different housing needs than parrots. Doves are unable to climb up the cage bars like parrots ca; instead they move about by flying back and forth, which makes a wide cage an important feature. Offer a variety of perch styles and of varying diameters, which will help promote good foot health in your dove. Doves also need opportunities for bathing. Doves, unlike parrots, need grit in their diet because they eat their seeds whole. Provide several types of grit, as well as a calcium supplement, especially during breeding. Though it is tempting to breed these birds year-round, doing so will leave the birds in an exhausted and weakened state. Most aviculturists advise resting them for a few months after every two or three clutches. When well cared-for, ring-necked doves can live for more than ten years. Doves, for the most part, are hands-off pets. Forcing interaction can result in terrifying the bird, or worse, causing a broken wing. Some doves, however, can be hand-tamed. Doves are quite social with others of their kind and they can be accustomed to taking food from your hand. With a dove, you want have to worry about “the big, bad bite” a parrot might be capable of. If you opt to keep doves be prepared for constant cooing. While they cannot screech like a parrot, their cooing is fairly constant. Some people enjoy the pigeon’s coo and find it relaxing; others, however, might not enjoy the constant cooing sound. Doves are susceptible to red mites, which hide during the day and come out at night to feed on the bird’s blood, and doves housed outdoors are susceptible to roundworms, tapeworms and other worm species. Canker, a respiratory disease that shows as a swelling in the dove’s throat and a cheesy looking growth around the mouth, can be fatal if not treated. Those who keep pigeons should wash their hands after handling, feeding or cleaning the dove’s housing because doves can transfer Chlamydia and Salmonella (bacterial infections) to people. Overall, doves are generally healthy birds. While there are many varieties of doves in existence, only a handful are commonly kept as pets. Diamond doves and ring-necked doves are the two dove species most likely to offered for sale in large pet stores, as well as avian-specialty stores and from bird breeders, who are more likely to offer more types of dove species.